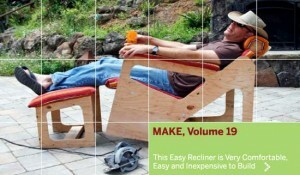 The “Make Magazine” series from O’Reilly Publishing still exists and you can find them at makezine.com. They have instructions on how to make anything from beach chairs to tiny flying insects. And we mean tiny. As an adjunct to making things you might be interested in the videos for rent at smartflix.com. This is like the movie rental company Netflix but here all the videos are instructional. Watch experts teach how to make your own sword or sew ruffles. It’s a good idea but more expensive than Netflix. Ranges from around $23 a month for their “SmartFlix University,” others are $10 a week. You can find cheaper instructional videos at your library, but if not, there are lots of them here. And if you can’t find just the right piece of equipment for your latest electronics project, try weirdstuff.com, partstore.com, bgmicro.com, jameco.com. ProActive Components at http://www.ProActiveComponents.com is also an ISO 9001:2008 Electronics Distributor offering obsolete and hard to find electronics for the medical, military and aerospace industries. Let us know if we can help, friendly service and fast shipping!